1 Britain's Prince Harry receives a "hongi", traditional Maori greeting, from a member of the Kairanga Kapa Haka group during a visit to Linton Military Camp in Linton, near Palmerston North, New Zealand. 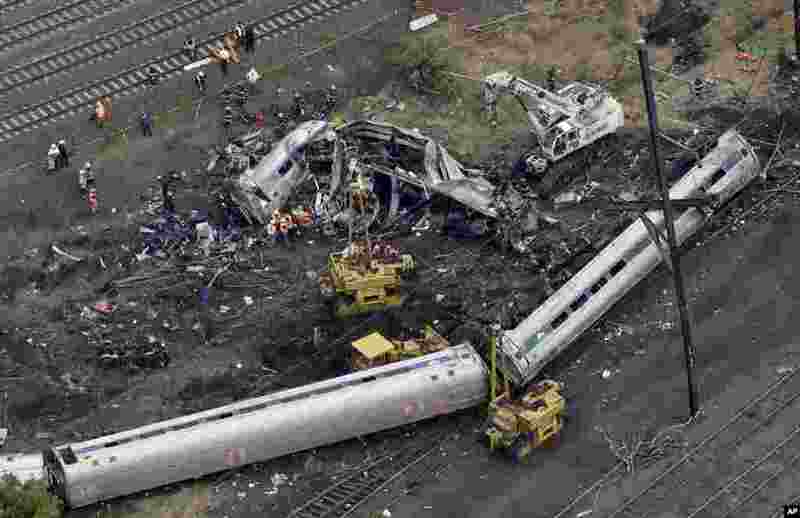 2 Emergency personnel work at the scene of a deadly train derailment in Philadelphia. The Amtrak train, headed to New York City, derailed and crashed in Philadelphia, killing at least six people and injuring more than 200. 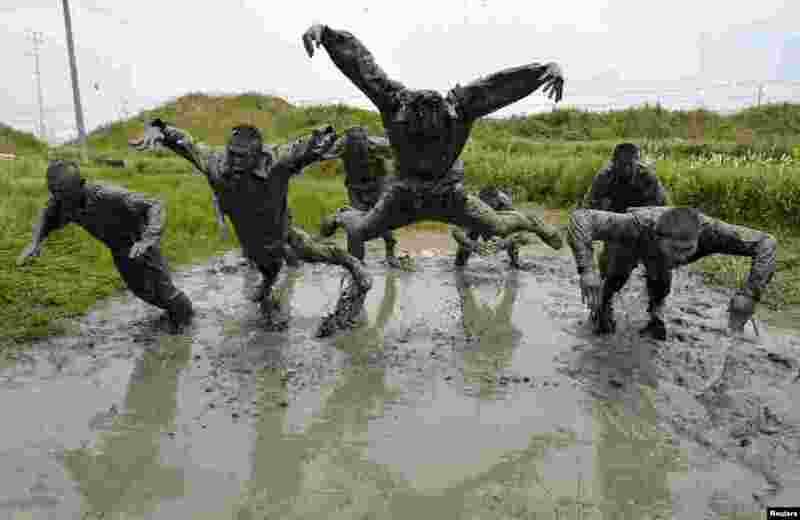 3 Paramilitary policemen jump during a training session in muddy water at a military base in Chuzhou, Anhui province, China. 4 Chavalit Chookajorn, permanent secretary of the Thai Ministry of Agriculture and Cooperatives, dressed in a traditional costume, throws rice grains during the annual royal plowing ceremony in central Bangkok, Thailand. 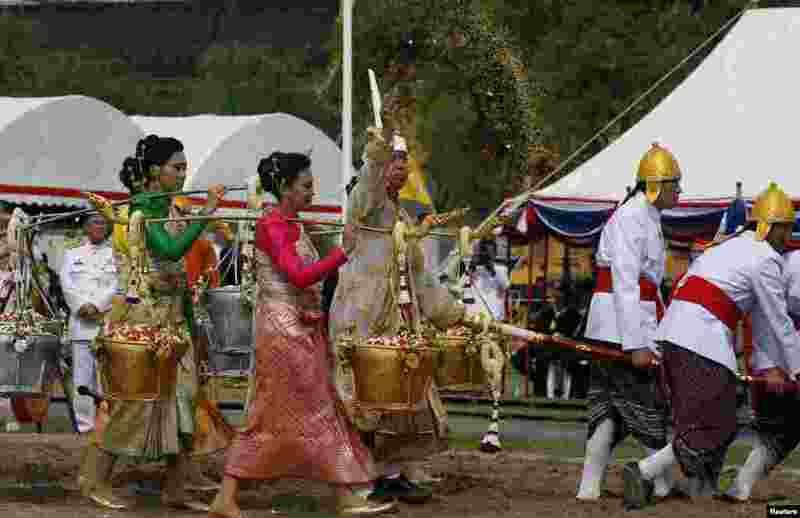 The ancient ceremony overseen by Crown Prince Maha Vajiralongkorn, marks the end of the dry season and is meant to herald an auspicious start for the rice-planting season.